For the Kingdom of God, courage and ‘dirty hands’ are needed. According to Vatican Radio, Pope Francis gave this reminder today, Oct. 31, 2017, during his daily morning Mass in his residence Casa Santa Marta, as he reflected on today’s Gospel, according to St. Luke. Hence, he explained, there is a tension between suffering and glory. 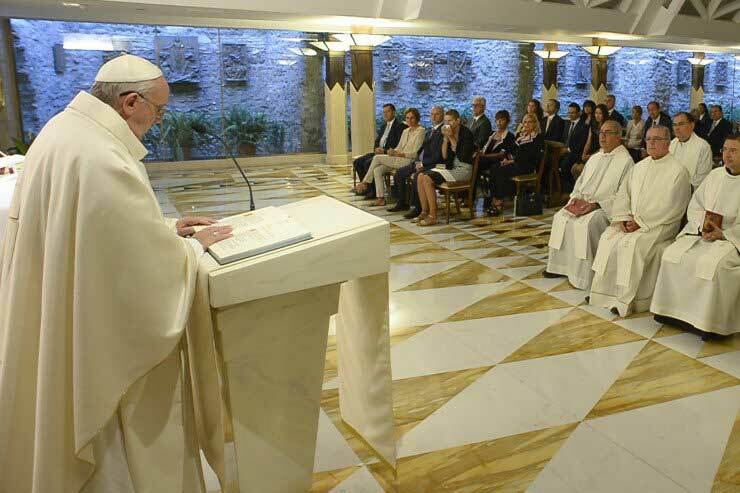 The inner strength that “leads us to hope for the fullness of the Kingdom of God” is that of the Holy Spirit, Francis said, reminding that hope can enable us to surpass our limits and reach glory. “Within us and in Creation,” the Pope repeated, “there is a force that triggers [us]: it is the Holy Spirit,” which “gives us hope. The Pope went on to explain what it means to live in hope. Pope Francis concluded, reminding that where there is hope, there is the Holy Spirit, and this helps lead us to the Kingdom of God.